When it comes to humbucker pickup splitting, here’s what you need to know about what kind of switch to use. If you’ve just installed a Lindy Fralin pickup, but the sound you’re getting is not quite what you expected, the problem could be with your pickup’s phase. Why are my Lindy Fralin Pickups out of phase? Understanding Push-Pull Potentiometers is a great way for you to know how to add extra functionality to your guitar. 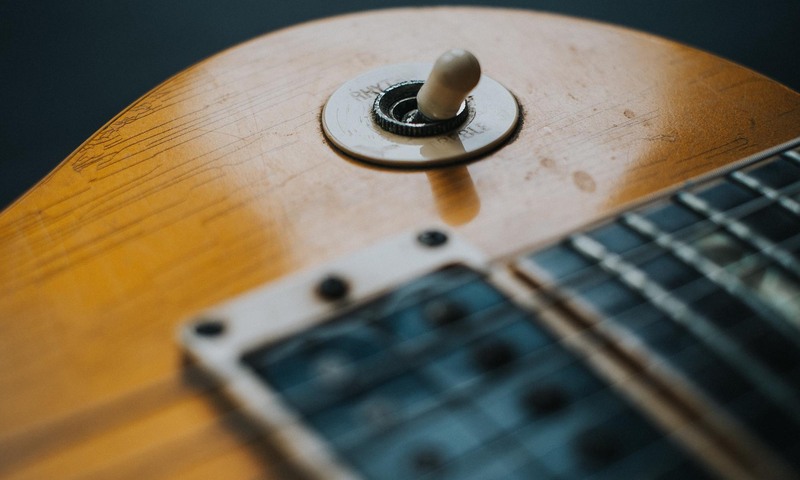 If you have ever thought about using a mini toggle switch to split a humbucker guitar pickup, you may have a few questions about how to go about it. coil to the beginning of the second. If you’ve ever thought of using a push-pull pot to split a humbucker pickup, you may have a few questions; here are the are the most often asked push-pull pot FAQs. Push-pull pot FAQ: What is a coil-split pickup? Push-pull pot FAQ often include inquiries into coil-splitting a humbucker pickup. A coil-split pickup is a humbucker that is split in such a way that it only uses one of its two coils. This is useful to guitarists who use humbuckers but occasionally want a single-coil sound. Equalizers are one of the most common effects in this category and you can find an Equalizer almost everywhere that you find a Volume Control. It is built into your amp, your mixing board, almost everywhere you look. EQs work by using different values of Capacitors to target a certain range of frequencies, and a slider or Volume knob to “Turn Down” (filter to ground) those frequencies. Most EQs are passive, meaning they can only turn down the volume of the frequencies that they target. If you’d like to add a dash of “Strat” tone to your Tele, you’ve come to the right place! In this article, we’ll talk about how to set up your Tele for Nashville Style wiring. So, first things first. What is the Nashville Style Tele, how is it wired, and can you can modify your Telecaster so it produces its tone? A Nashville Style Tele is just a Standard Telecaster with three pickups instead of two, and a five-way selector switch instead of a three-way selector switch. This Mod was created by Tele players looking to coax some Strat style tones out of their Telecaster while still retaining that crucial Neck + Bridge pickup combination not found on the Strat. Do you want to add a “Tele” sound to your Strat? How about all three pickups at once? Try this Seven-Sound Stratocaster Modification. The Seven-Sound Strat Modification is an easy mod that you can make to your guitar to give you more tone versatility, and despite its name, you can make this mod on any type of guitar that has three pickups and a five-way switch. The five-way switch gives Strat players plenty of versatility in tone. Position 1 is the Bridge pickup, Position 2 is Bridge + Middle, Position 3 is just the Middle pickup, Position 4 is Middle + Neck, and Position 5 is Neck. What the five-way switch does not provide is a way to select the Bridge + Neck pickup, or a way to select all three pickups at once. This is exactly what the Seven-Sound Strat Mod (also sometimes referred to as the Gilmour mod) provides for us.